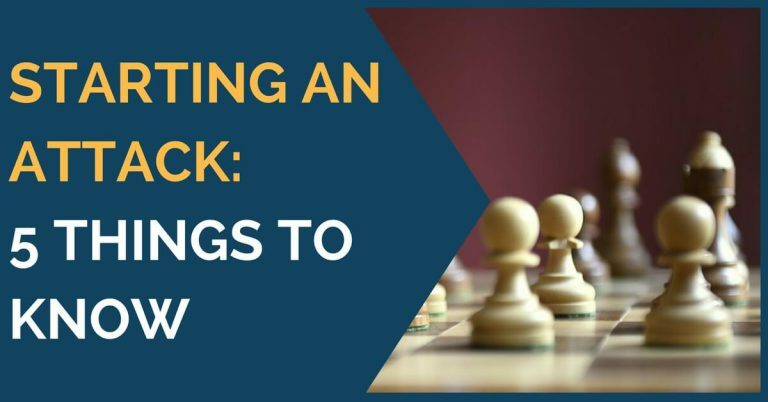 Have you ever made a move without giving it enough thought? Do you have trouble focusing on the board during the game? The chances are you answered “yes” for both of those questions. 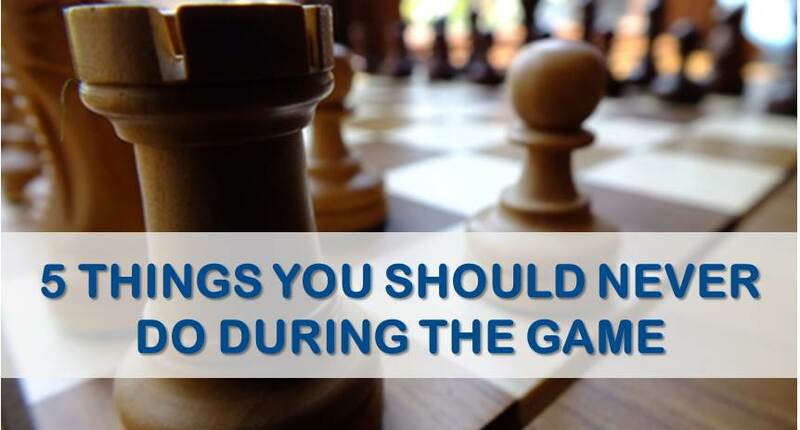 In today’s article we will take a look at 5 things that you should never do during the game. You don’t want to miss it. The number one thing that causes mistakes is the impulsive moves. How many times did we catch ourselves automatically recapturing pieces, castling or playing an “obvious” move. That happens a lot, especially in games on amateur players. Oftentimes, this automatic response is caused by laziness, or lack of good habits. Instead of taking a few seconds and thinking about the move we just immediately play it. It works once, twice or even three times. But sooner or later, you will make a mistake. If you don’t have the “double-checking” in your decision making algorithm you almost guaranteed to blunder. It happens to the best of us. After the blunder is made in 95% of cases we instantly realize it, and start staring at the opponent in hope that he won’t notice the winning continuation. Ironically, he does find it most of the times. There is good news though. If you’ve noticed the blunder immediately after playing the move, you are perfectly capable of noticing it before your hand touches the piece. Simply take 10-20 seconds to look at the move once again before playing it. Check for simple things like hanging pieces, mating threats, forks and other tactical tricks. If you do that after every single move, your blunder rate will tremendously decrease. What do professional chess players such as Kasparov, Carlsen, Anand and Kramnik think during the game? Do they think about soccer matches, their previous loses, weekend plans or their favorite TV show? I’m pretty sure they don’t. If they did, they wouldn’t be able to focus all of their attention on the important problems they’re face during the game. Grandmasters know better that anyone else than they need to keep other things out of their heads. These are disruptions and they can’t be useful during the game. Amateur players are not as good at controlling their thoughts. If the position is boring and the game is slow they may start getting random thoughts that have nothing to do with what’s going on the board. It is easy for them to get disrupted by following the nearby game, thinking about the previous round lose or even making plans for the weekends. It is indeed impossible to perform best when you don’t fully focus on the game. If you want to boost your performance simply forget about anything else out there until after the end of your game. You will be pleasantly surprised with the result. Intuition is a great thing, but only when it works. It may save you some time and effort, but it is always not as accurate as the calculated variation. That said, until you reach about 2200 elo you should forget about intuition and base all of your decisions at chess on raw calculations. 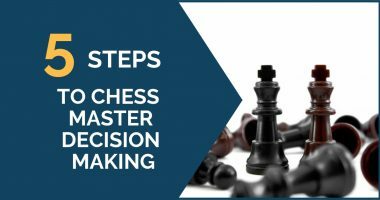 I have seen many 1200-1400 rated players who “effectively employ” their intuition just to lose a piece 3 moves later because of some simple tactics. Don’t be one of them. Calculate your moves and you will steer clear of many troubles. What do I mean by that? Sometimes players don’t hope for intuition and also don’t calculate the moves. They simply initiate exchanges and combinations hoping that it will somehow work out in their favor. They simply don’t want to think about the position maybe because they are tired or maybe because they don’t have a habit of using their analysis skills yet. They simply proceed and wait to see how it will work out. If you are one of those players I have bad news for you. Playing this kind of chess is like driving a car with your eyes closed. It may be fine for a while, but eventually you will get into an accident. Driving shouldn’t be based on lack, and so is chess. You should be the one in control. Remember that chess is a precise game and it favors those who employ the exact calculations. This is a problem that many amateur players have. They lose a piece and immediately resign. They have seen Grandmasters playing, and know that in GM chess losing a piece is equivalent to losing the game. 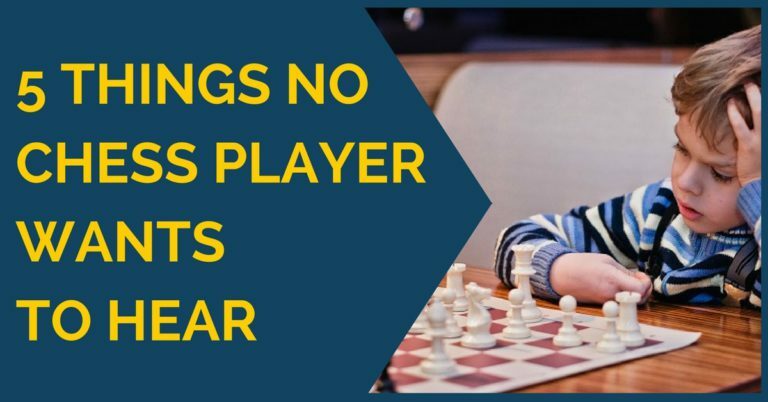 What’s true on professional level, however, is not always applicable to amateur chess. If you are playing somebody below 2000, there is a high chance that he may return a favor and make a mistake of his own. You can get your material back and get a draw or even win the game. However, if you resign, you lose 100%. There is no way to draw or win at that point anymore. If you are unsure, just keep on playing.